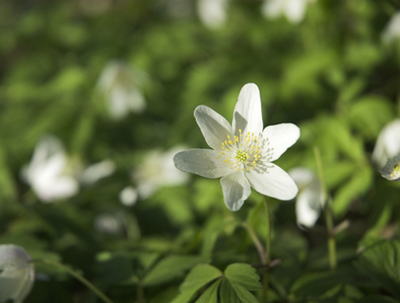 The charity Plantlife is launching its annual health check of meadows, hedgerows and woodlands and is asking people to record the wildflowers they see when walking or driving, such as wood anemones and foxgloves. Last year’s count showed that cowslips and buttercups were the most commonly seen plants and stinking iris and alpine lady’s mantle the least recorded, although the survey is essentially about state of habitat rather than rare plants. ‘The aim is to look at changes in the quality of habitat, from semi-natural to natural,’ explains survey leader Sue Southway. ‘If the habitat isn’t doing its stuff, then the plants that should be there won’t be. We don’t know whether climate change is causing plant loss, but we think that habitat degradation is having an effect.’ The survey goes live on March 20 and runs until September 30, after which Plantlife will report the results to Defra (01722 342755; www.plantlife.org.uk).